It has become somewhat cliché to call the Rolex Submariner “iconic” but there are few watches that are more deserving of the term. Since its introduction in 1953, the Rolex Submariner has served as the blueprint for contemporary divers’ watches, and nearly every single dive watch that exists today was in some way influenced by the Rolex Submariner. The term “iconic” may be overused (especially in regards to the luxury watch industry); however the Submariner is a true icon. Despite remaining in constant production for well over half a century, the Rolex Submariner has stayed remarkably consistent in its overall design. In addition to being one of the very first timepieces to pioneer the dive watch genre, the Rolex Submariner has also been able to stay at the forefront of dive watch technology. Although traditional mechanical dive watches have effectively been replaced by modern dive computers, the Submariner was the first timepiece to introduce a number of features and characteristics that have gone on to become industry-standard on all subsequent dive watches. Despite remaining in continuous production for well over half a century, the Rolex Submariner has changed very little throughout the years. 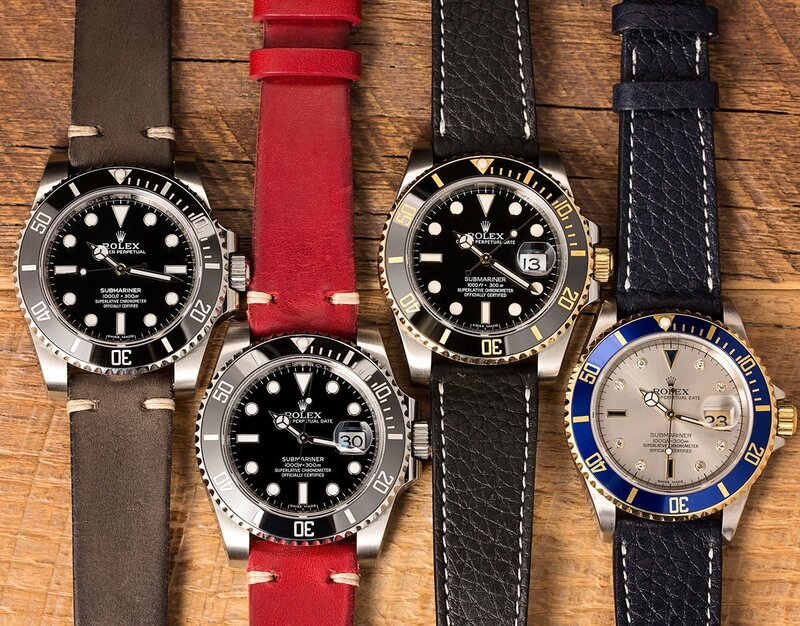 The design and appearance of the Submariner has been updated as better technologies and materials have become available; however at its core, the current version of the Submariner is very much the same watch that Rolex first released to the public more than 65 years ago. 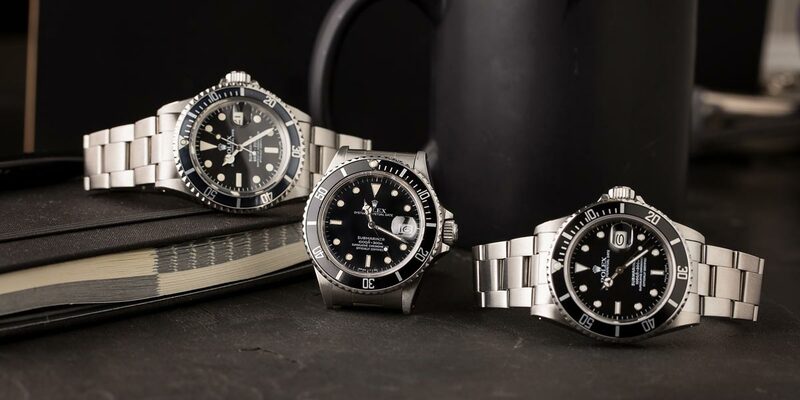 For more information about the Submariner and the complete history of Rolex’s iconic dive watch, check out our Submariner history page and be sure to watch the accompanying video, where we go over the entire history of the Rolex Submariner, from its inception in the early 1950s, all the way through the arrival of ceramic bezel inserts and its most recent updates. Originally only available in stainless steel and with a black dial and bezel insert, Rolex has expanded their Submariner collection to include a variety of more colorful and luxurious references.